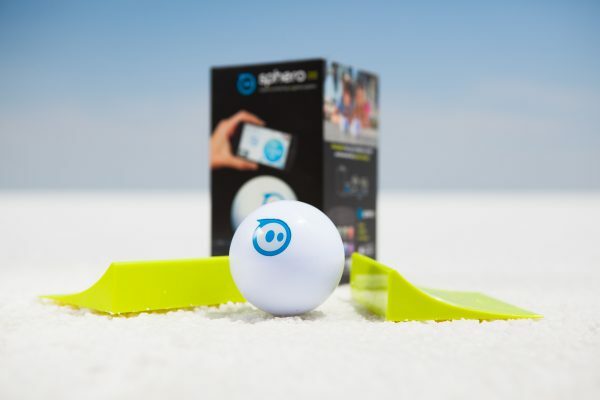 Sphero 2.0 … faster and brighter! We looked at the Sphero from Orbotix back in May, and we were quite excited by this little ‘ball of wonders’. Not only is Sphero back in 2.0, it promises to be faster and brighter. Wait, don’t take our word for it, watch the video. A new set of internal motors and a redesign means that this runs a lot faster than before. It claims to go up to 7 feet a second, which is fairly fast for something that goes on its own! A new set of multicolour LEDs also means that this is up to 3 times brighter. Other features, which are same as before include induction charging as well as Bluetooth control to pair with your smartphone or tablet. It also packs in a range of accessories, such as ramps to perform those tricks, as well as a protected Sphero Nubby cover to add protection as well as traction. And as far as games and apps go, with 25 apps that help you create different tricks as well as play games based on Augmented Reality.